Recently, Trader Joe’s started selling kale that’s “cut cleaned and ready to go.” Not only does this make preparing my Moroccan Inspired Lamb Stew even easier, but it also makes adding kale to your diet as a whole a lot easier too. So what’s so great about kale and why should you be eating more of it? Disclaimer: Before you read any further, I must warn you that I’m not a nutritionist, dietitian, doctor, or scientist; I’m just a girl who wants people to eat better. It’s probably wise for you to consult a professional, or better yet, do your own research about dietary choices …yadayadayada, now you may continue reading. Kale is packed full of good stuff our bodies need to not only function properly, but to repair themselves from the environmental damage we receive on a daily basis. 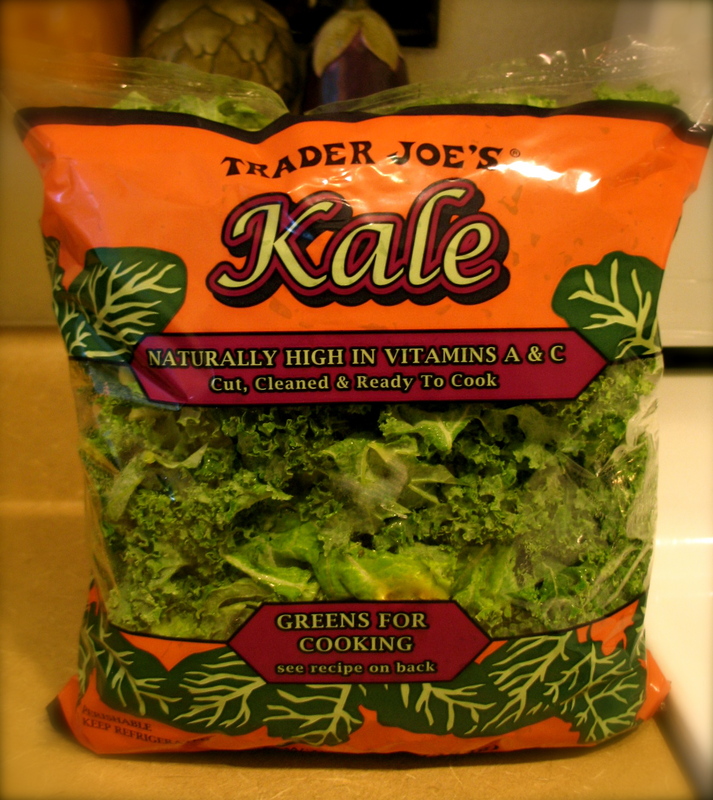 To start, kale is rich in carotenoids, like beta-carotene and lutein. Studies have found, that carotenoids can help restore and improve vision as well as act as a defense against ultra-violet damage to the skin. Kale is also rich in vitamin K. Vitamin K is important for our bones and blood. Vitamin K helps calcium, something also found in kale, bind better, making bones stronger. Vitamin K, also plays a major role in blood clotting, so if you bruise easy, suffer from nose bleeds, or heavy menstrual cycles, then you might consider increasing your intake of vitamin K.
Kale is also a good source of various antioxidants, like vitamin C. Antioxidants fight the damage caused by free radicals. Free radicals are unstable molecules that will attack stable molecules in our body, in an attempt to stabilize themselves, often causing a chain reaction that can cause various diseases and even cancer. Antioxidants are stabilizing molecules that help stop and prevent the chain reaction caused by free radicals. We are exposed to free radicals on a daily basis, not only do our bodies create them, but they’re also found in cigarette smoke, smog and even sunlight, so antioxidants are very important. Kale is also a good source of the minerals magnesium and manganese. Both magnesium and manganese are essential to good health and play a part in everything from muscle function and heart heath, to anxiety disorders and metabolism. So the next time you’re at the market grab some kale, it’s good for you! The other day, I was reading, “The American Fast Food Syndrome“, on Civil Eats. The article touches on how over the past 60 years, Americans have become so attached to processed fast food that many feel drive thru meals with burgers, fries and sodas represent what “real” Americans eat. I wasn’t on this planet 60 years ago, so I decided to ask my Mom what food was like back then. My mom told me about how milk was delivered to the front door, directly from the dairy. Grandma bought seafood at the fish market and meat from the butcher. These were separate places; stand alone stores, not sections in the Walmart Supercenter. In the summer, my grandparents would drive out to the country and get fresh fruits and vegetables from farmers’ markets. My grandma would take the ripe peaches and strawberries from the market and make preserves. And when my grandparents didn’t feel like driving, they would just go out to their little garden in the backyard. 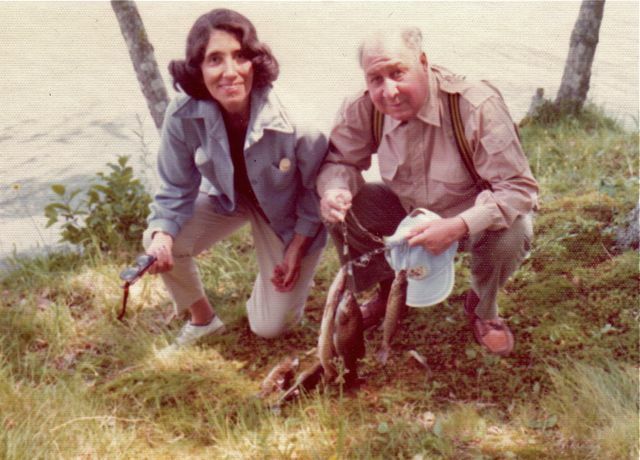 My grandparents also enjoyed hunting and fishing, bringing home their catch for dinner. This is the way it was 60 years ago and my grandparents weren’t country folk either, my grandmother was from Washington, DC and my grandfather was from Wilmington, DE. So with my Mom being brought up in this environment, how did fast food become a part of my diet? When I was a child, my parents were vegetarians. My mom cooked all our meals, but as I got older things changed. My parents divorced, we moved in with grandma to help take care of her, Mom worked late, I had extra curricular activities, and the next thing you know, we were in the drive thru. While I agree with Kristin Wartman’s assertion that “most Americans lack the knowledge that industrial food is a recent development,” I also think the way family structures have changed over the last 60 years, has greatly contributed to our Fast Food Culture. Sixty years ago, few women worked outside of the home. Dad’s usually bought home the bacon and Mom’s cooked it up. Fast-forward to 2011 and it now takes both parents working to afford bacon. If there is only one parent at home, it might mean they work 2 jobs to cover the family expenses. Between work and all the other responsibilities that fill our day, the drive thru becomes really easy. When I went back to school, my schedule and finances changed drastically. The drive thru by campus became very convenient when I needed a quick, affordable meal between class and work. The problem is, I soon realized instead of indulging in the occasional Double Double I was becoming a victim of the Fast Food Syndrome. I love to cook and think I’m pretty good at it, but I found that after a long day at work and school I was just too tired. I found my fix at Trader Joe’s, as it became my go to destination for convenient, affordable, stress free meals with natural and/or organic ingredients. Here is a rundown of a few of my favorites meals ala Trader Joe’s. Many contain natural and/or organic ingredients, are priced competitively, and make putting meals on the table easy. 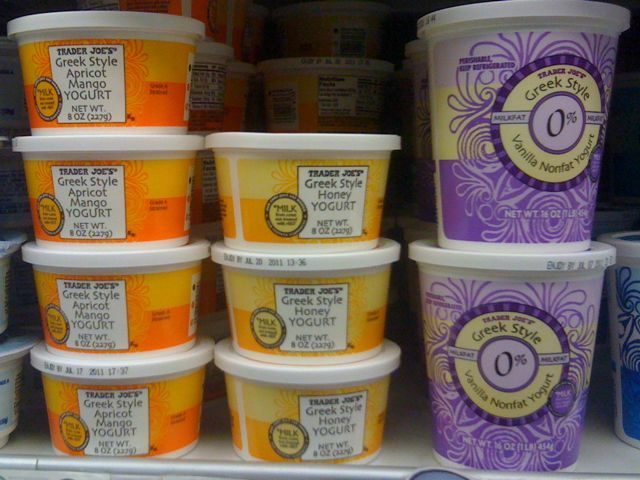 Breakfast For a quick, healthy breakfast on-the-go, try Trader Joe’s Greek Style Honey Yogurt. I prefer Greek yogurt because it has a thicker consistency than regular yogurt. It’s rBST free and contains probiotics, which can help improve digestion and strengthen the immune system. Add some fresh fruit and granola and you have a quick, healthy, well-rounded delicious breakfast with little to no fuss. Lunch For lunch, the grab and go salads at Traders Joe’s are a great quick lunch option or you can make a sandwich with their selection of pre-packaged deli meats. 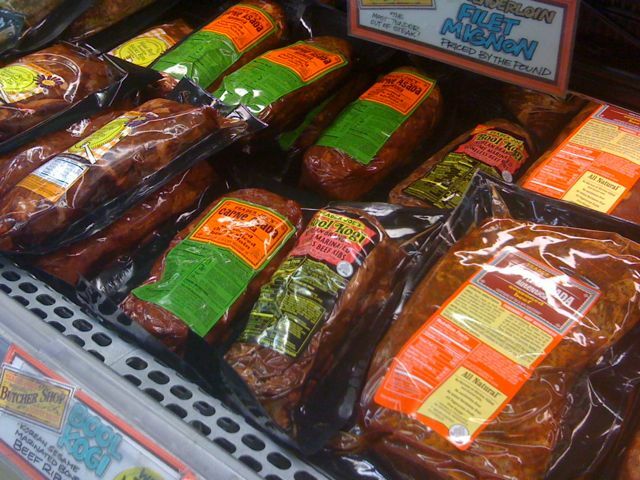 Most of the deli-meats at Trader Joe’s come from animals that are vegetarian fed. 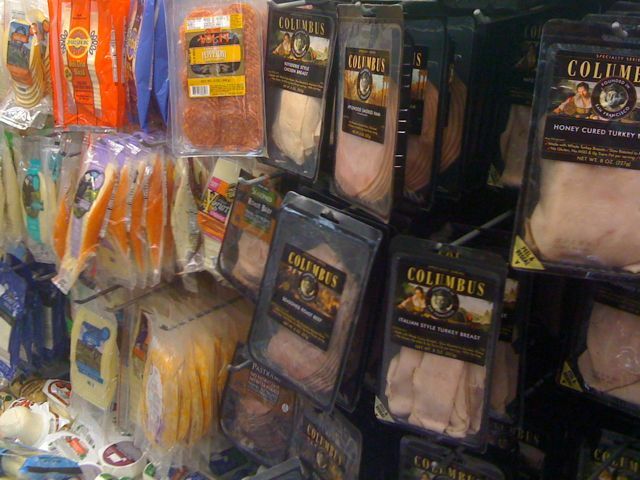 Trader Joe’s deli meats also tend to be priced cheaper than deli meats at the grocery store. 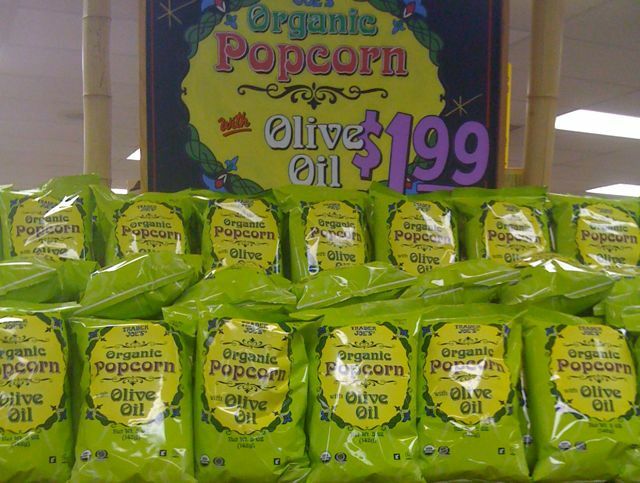 As a snack, try Trader Joe’s Organic Popcorn with Olive Oil. The flavor takes me back to when popcorn was popped on the stove, not in a microwave. It’s also low in fat and high in fiber. I'm addicted to this stuff! Dinner It would be great if we all came home and prepared a home cooked meal made with all organic, locally sourced ingredients, but in lieu of that, Trader Joe’s has some really great quick meal options that can keep you out of the drive thru. I really like Trader Joe’s pre-packaged meats. They are pre-portioned and seasoned so all you need to do is open the package and throw them on the grill or in the oven. The Pollo Asado (roasted chicken) is lower in fat, sodium and cholesterol than some of the other Trader Joe’s pre-packed meats and it’s sliced thin so it cooks up in minutes. Another benefit to Trader Joe’s pre-packaged meats are that they’re refrigerated, not frozen, so you can cook them up right away. Steam some veggies and add a side of rice and you have a quick, drive thru free, no fuss dinner. Hopefully, these suggestions will make putting meals on your table a little easier so you can spend a little more time at home with your family and a little less time in the drive thru. The other day, I overheard a conversation that inspired me to write this post. This guy said he didn’t make enough money to eat organic food. The lady he was talking to started raving about how affordable Trader Joe’s was and how much she liked Whole Foods. That’s when the guy admitted that he had never actually set foot in either place. I remember before there was a Whole Foods in my area, my mom and I shopped at food co-ops or small health food stores. 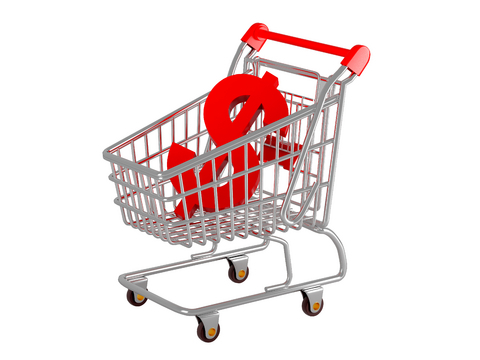 The common thread amongst shoppers was usually their viewpoints on the environment and health, not tax bracket. Today, the presence of a Whole Foods in a neighborhood often tells you a lot more about property values, than people’s love for the environment. But do you really have to be well off to include organic food in your diet? 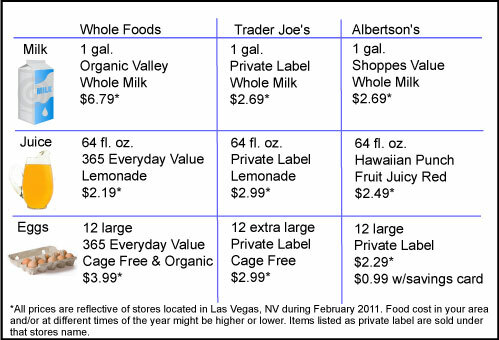 I decided to compare prices at Whole Foods, Trader Joe’s and Albertsons for a few staple items. I was shocked by what I found. I looked at the prices for three items you’ll find in most refrigerators in the U.S.: milk, juice and eggs. Milk: I was shocked that the Shoppes Value whole milk at Albertsons and the Trader Joe’s whole milk were the same price. The milk at Trader Joe’s is made from cows not treated with rBST, an artificial growth hormone. Nothing on the Shoppes Value label mentioned whether or not the cows that produce their milk have been treated with rBST. The FDA says no significant difference exists between milk derived from rBST-treated and non-rBST-treated cows however, rBST is not approved for use in Japan, Australia, New Zealand, and Canada. Eggs: The Albertsons eggs were the least expensive, with the greatest savings if you have an Albertsons savings card. Without the discount card, the savings is $0.70 versus Trader Joe’s cage free eggs and $1.70 versus Whole Foods organic, cage free eggs. After I read this article about organic and cage free eggs, the additional $1.70 for organic, cage free eggs is probably worth it though. Juice: The Hawaiian Punch falls in the middle price wise. However, it was the only drink to contain high fructose corn syrup as well as an ingredient called Glycerol Ester of Wood Rosin, that’r right, wood rosin. The lemonade at Trader Joe’s and Whole Foods was mainly made of the same ingredients you would use if you made it at home: sugar, water and lemons. If you need milk, eggs and juice you won’t break the bank if you go to Whole Foods or Trader Joe’s, but what if you wanted to have a more complete meal?Someone’s Italian grandmother might roll over in her grave, but you can ease your hunger pangs with minimal effort if you boil some spaghetti, open of a jar of tomato sauce, and pop open a bag of salad. 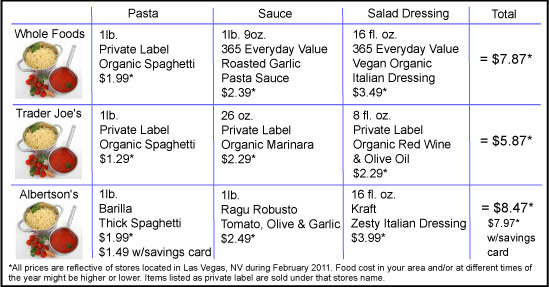 If you wanted to purchase the items to make a basic spaghetti dinner, which store would you save the most? Once again, organic items at Whole Foods and Trader Joe’s turned out to be the better priced options. I was blown away by how much of a savings Trader Joe’s offered. As I continued to compare other items like butter, olive oil, mustard, deli meat, and sliced cheese, I was continuously shocked to find that either Trader Joe’s or Whole Foods had lower prices. If Albertsons had a lower price, it was not more than a dollar cheaper than the price at Trader Joe’s or Whole Foods and it either lacked the organic ingredients and/or had more additives. So the next time you pass a Whole Foods or a Trader Joe’s, don’t clutch your wallet in fear, it is possible to include natural and/or organic foods in your diet without breaking the bank.